I am officially a married man! After 3 years of dating, two years of living together, one year of engagement and 11 months of careful, tedious. life-consuming planning, my wife (wow, that's weird to say) and I have tied the knot. It was a beautiful affair at Starved Rock State Park in Utica, IL that, thankfully, went off without the slightest hiccough. In short, we got hitched without a hitch. 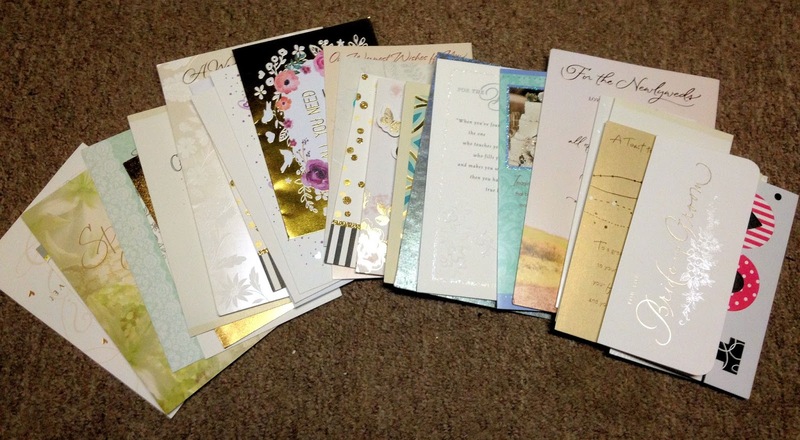 All with thoughtful messages of support and words of kind encouragement. 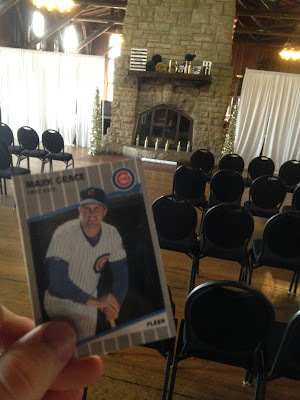 That said, wedding cards aren't as fun for me as baseball cards. They are quite lovely and touching; however, they just are not as fun to flip through, for me. Here's a snap of me and my wallet card buddy, '89 Fleer Mark Grace, right after setting up the Starved Rock Lodge for our big day. I was assured by Mr. Amazin' Grace that the decorations were absolutely perfect and the venue was top notch. That Mark, always so reassuring. After a night of vows, merriment, terrible dancing, open bar mischief, selfie-station snafus, self-serve ice cream bar snacks and even more "white dad at a bbq" dancing to ABBA, we decided to spend the rest of the weekend at the Starved Rock Lodge as a sort of mini-honey moon. We've decided to postpone our full trip until the summer time, when I don't have to burn vacation time (a benefit of working for a school district). 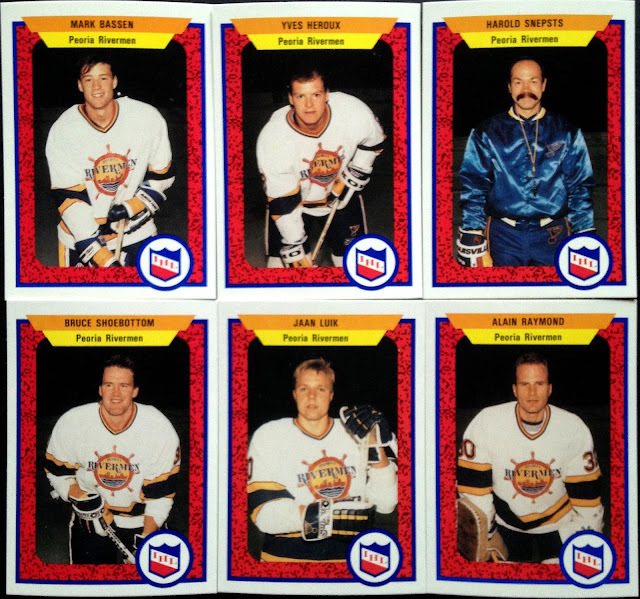 *record scratch SFX* Minor league hockey cards? How did they factor into this weekend? 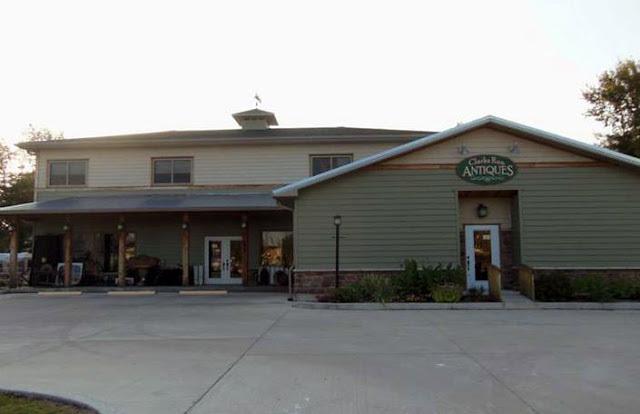 Clark's Run antiques has two-floors packed to the gills with all sorts of vintage goodies. It took us an hour just to work through the ground floor of the establishment and both of us went home with a little souvenir to remember the day by. The owners are generous folks, as well; after discovering we were newlyweds, they gifted us with two free wine tastings at the new winery they opened in town. Obviously, this was a great experience. 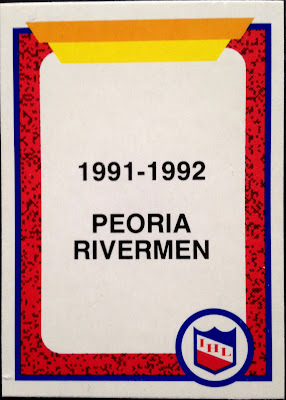 The IHL Peoria Rivermen's roster that season included one former Blackhawk, one who had previously gone unrepresented in my Blackhawks All-Time Roster Collection. That man, was the above-shown David Mackey, who's card will now both represent him in my Hawks binder and serve as a reminder of an amazing weekend. 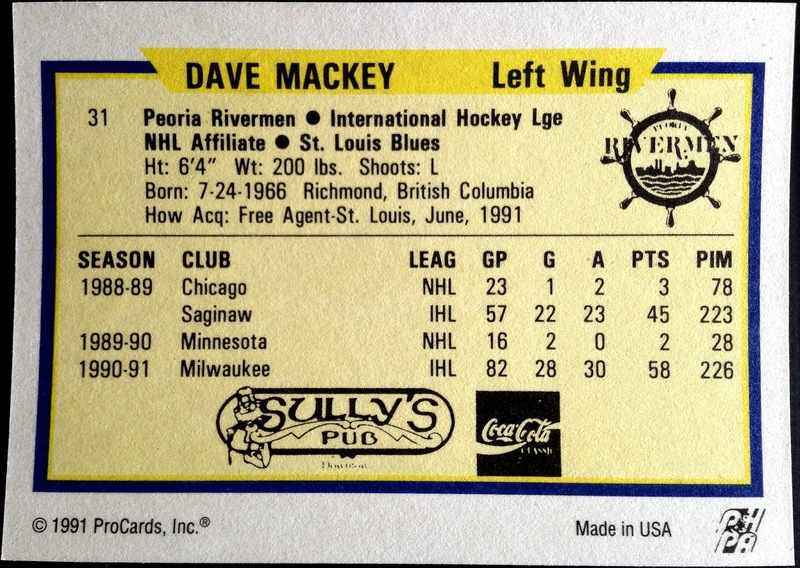 In case you were wondering, Mackey played parts of six seasons for the Blackhawks, North Stars, and Blues. He had 8 goals, 12 assists, 20 points in 126 games, along the way. 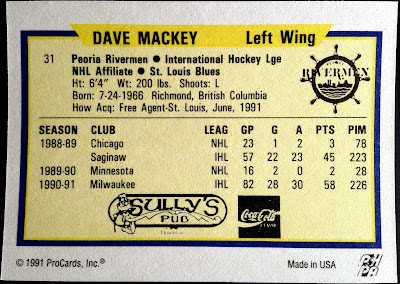 As you can see from the backside of his card, the Rivermen were a Blues affiliate at this time and most of the left winger's time in the NHL was already over with. This set, sponsored by Coke and the local Sully's Pub, would be one of his final cards. Looks like this defenceman really earned his paycheck! Coincidentally, I wonder if he was upset with the timing of photo day or if he proudly wore his bandage and bruise as a badge of honor? Knowing hockey players, I'd be willing to bet that it was the latter option. 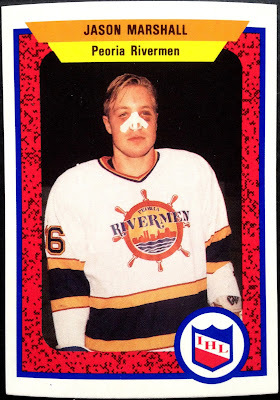 Jason Marshall would go on to play in the NHL for twelve seasons, with 1,004 penalty minutes as a testament to his apparent toughness. The design itself is attractive enough - bright colors and a fairly simple layout. The pattern on the red-fill is a time capsule back to the early nineties. Overall, the cards remind me a colorful plaque. 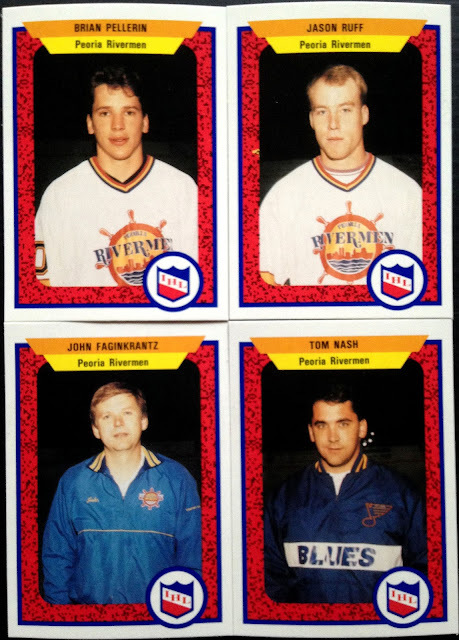 On the other hand, as most minor league cards produced at this time by ProCards were, the images are bland as bland can be (excepting the Marshall card see earlier). Likely, the players and personnel were lined up and trotted in front of the camera, rapid-fire, in the vein of Little League photo day. Also a tad bit disappointing is the super dark background - so dark, it's as if they forgot to turn the lights above the rink on. These are hockey cards from the early 90's - I want to see some egregious mullet action! As with any minor league set, you also get cards of the athletic trainers, as an added bonus. How come Major League trainers and equipment managers never get a bone thrown their way? I want a Yosh Kawano card! Those 1991-92 Peoria Rivermen weren't a bad bunch - that season, they set the record for the longest winning streak in professional hockey history (18 games). That mark has since been broken; but, nevertheless, that's definitely something to hang your hat (helmet?) one. 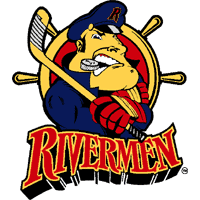 As a postscript, I feel compelled to mention that while there is a Rivermen squad skating in P-Town today, it is not this same franchise. 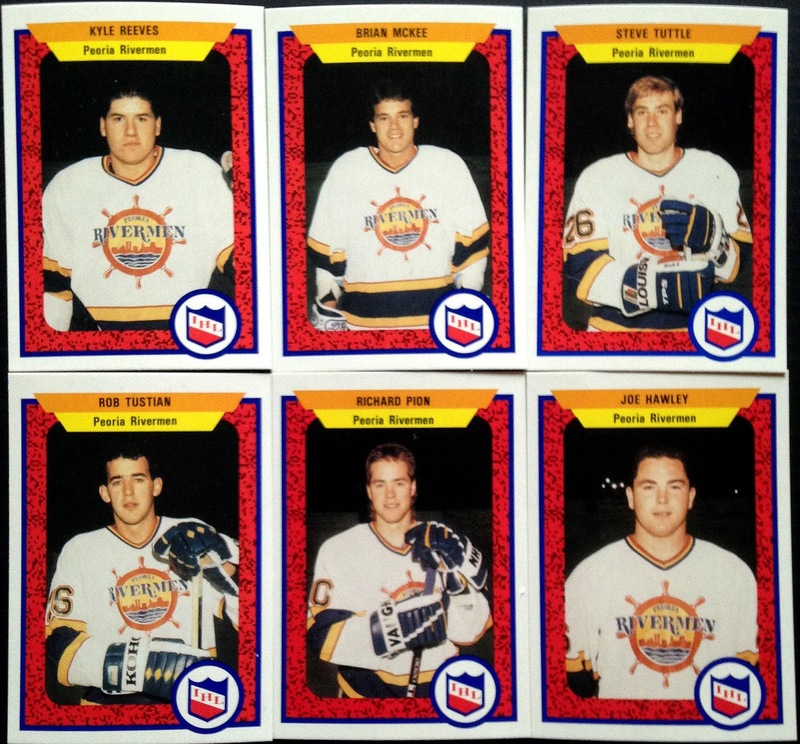 In fact, it's the fourth incarnation of the Rivermen to crop up since the original team relocated to San Jose in 1996. The modern version has competed in the Southern Professional Hockey League since 2013 and lack any NHL affiliation. 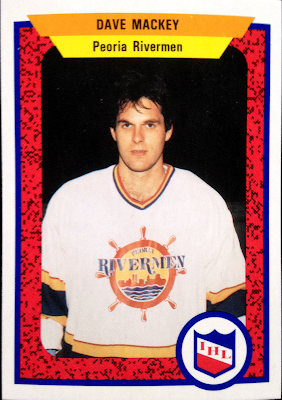 Perhaps P-Town Time knows a little bit about the turbulent history behind the Rivermen banner? With that, my cardboard explorations were done for the weekend. 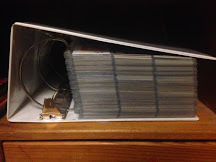 While there were no more trading cards to be found on our adventures, the drive-ins, hot tubs, Casey's Pizzas, buffalo habitats, nature preserves and, of course, lifetime companionship more than made up for that fact. All in all, it was a perfect wedding weekend and I truly couldn't have asked for a better one. Here's hoping our marriage is a little less turbulent than the history of the Rivermen! Nice cards. I got a chuckle looking through them because a colleague and I were just discussing Harold Snepsts this morning and then I spied him in your post. Congratulations on the successful ceremony. I hate to say it, but I am very envious of your good fortune. Awesome cards, I agree with Angus that the Snepsts might be the highlight of the set. Oh, and CONGRATULATIONS! Congratulations to you and the new Mrs. B. Nice card set to pick up. 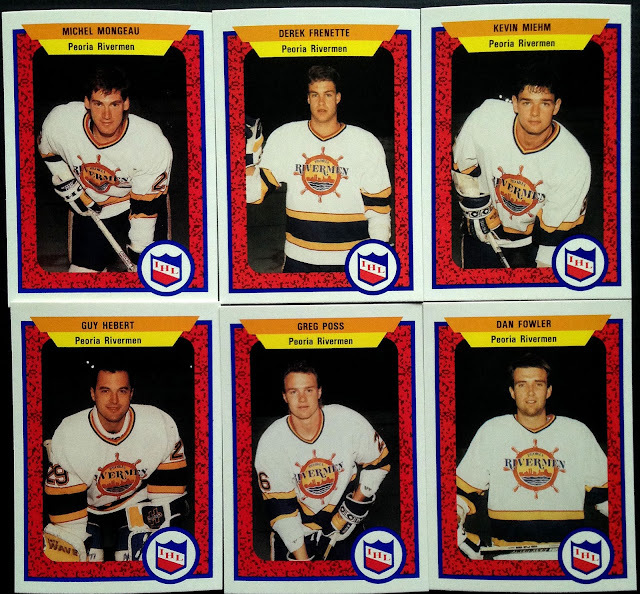 Funny seeing such a young Guy Hebert and Bruce Shoebottom (who happens to have one of the best last names ever). Congrats to you and Mrs. Burbs! Congrats Tony! Wishing you two many happy and healthy years together. Congrats on tying the knot! Best of luck to you two. "I want a Yosh Kawano card" Heck yeah! 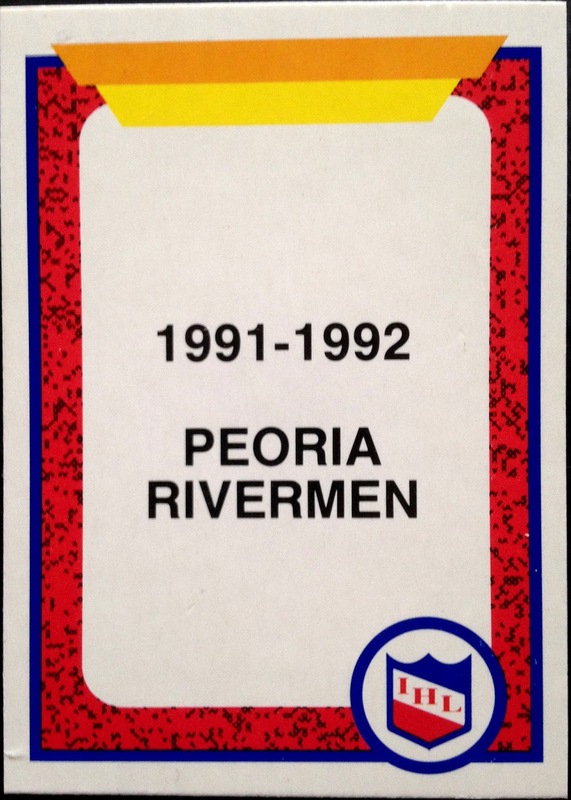 Sorry, I don't know much about the Rivermen's history as a franchise. 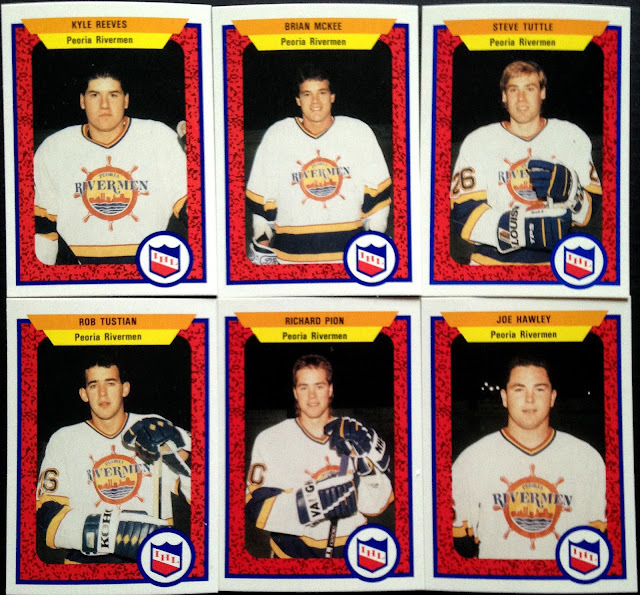 I can speak to the Peoria Chiefs history for hours, but I actually learned from your post that the hockey franchise moved to San Jose. I'm so happy you had such beautiful weather for your weekend. Starved Rock is a great place to get hitched! Congratulations to you and your wife! May you love happily ever after. Congrats! If she's good to you, you better treat her right! Good, non-crazy ones don't grow on trees! Best wishes and many years of happiness to you and the delightful Mrs. Burbs! My defenceman has no nose! Congrats, my friend! I've been wanting to make it down to Starved Rock for a while now, but still have never been. Sounds like a fantastic backdrop for a wedding!